With the heat coming in full force the last couple of weeks, it certainly feels as though we went straight from Winter to Summer overnight. And some recent showers have added to the overall mugginess as well. The showers, which are necessary for food production, lush lawns and colorful flower beds, also bring about the reproductive stage of many insects. Particularly ants and termites. 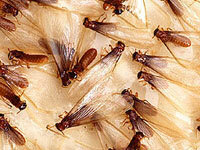 During this time of year it is not uncommon to see winged ants or winged termites flying around in the morning. So the question is ….. how do you tell which one is which? To an untrained eye, it can be very difficult to discern the difference between the two. Luckily, we have the training necessary to make an accurate assessment. 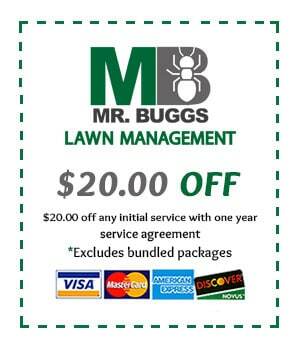 There are three different features to compare that will help identify if the insect is an ant or a termite. The first distinguishing feature that will assist in providing an identification between a swarming ant and a swarming termite is the “waist line”. A swarming ant will have the same “pinched” waist that a non-swarming ant has while a swarming termite will have a consistent and broad body outline. The second feature to compare when distinguishing between a swarming ant and a swarming termite is the length of the wings. The wings of a swarming ant will be slightly, if at all, longer than the body while the wings of a swarming termite will be considerably longer than the body. This might be the most distinguishable feature to an untrained eye. The wings on a termite typically lay flat down the back of the termite, one on top of the other giving the appearance of just one set of wings. In contrast, the ants wings will often times form a “v” shape, and each wing is clearly identifiable. 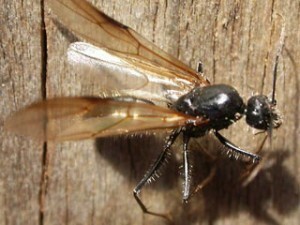 The final feature useful in distinguishing a swarming ant from a swarming termite is the antennae. An antenna of a swarming ant will be bent or elbowed, while an antenna of a swarming termite will be straight and beaded. Because of the size of the subject, be it a swarming ant or a swarming termite, a magnifying lens or very good eye sight may be required to view these distinguishing features. If internet pictures are used to assist with identification, I would caution our readers to make sure the pictures are from knowledgeable sources. Many times the label associated with the picture may not be accurate. 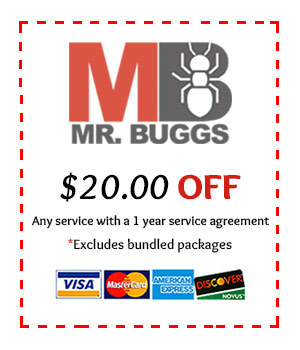 If you or someone you know is experiencing a problem with swarming ants, swarming termites, or any other pest issue, please contact Mr. Bugg’s Pest Patrol today for a FREE evaluation.